Description: From 4 to 8 inches tall. Leaves in pairs, are kidney shaped to almost round and toothed or scalloped. 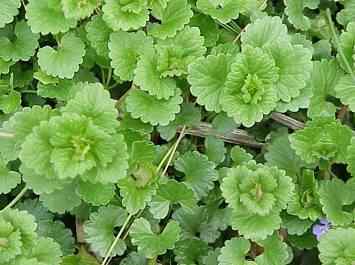 The creeping stems usually form dense mats often as extensive ground cover. It has been used both as a flavoring and a medicine. 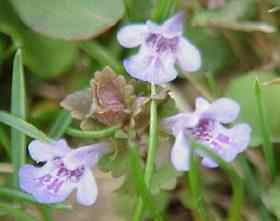 Flowers are violet, in whorls in leaf axils, tuber in shape. Also known as Gill over the ground and a weed by others.